Ss play Domino with some pictures of routine. Suggestion: T can ask ss to formulate some sentences about their routine + frequency adverbs using the pictures from the domino. The above printable, downloadable handout is a great resource for elementary school students at Elementary (A1) level. 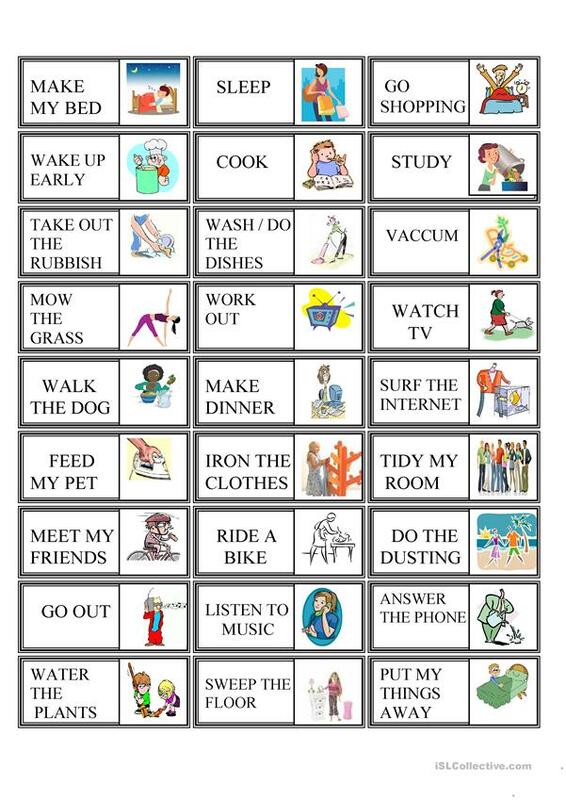 It is great for consolidating Verb tenses in English, and is useful for honing your class' Reading skills. Tanitha is from/lives in Brazil and has been a member of iSLCollective since 2012-03-09 13:37:12. Tanitha last logged in on 2019-04-14 20:32:04, and has shared 22 resources on iSLCollective so far.